Get Your Business Web Enabled at WebBiz. PHP/MySQL based phpTOUR - An Online Slideshow script I created - circa March 2002 - Now in v2.0 (22nd April, 2002) with multi-tour and admin feature, faster with single DB query. Download 99 KB for use in PHP3 / PHP4 / PHP5 without ADODB. Download 209 KB for use with PHP4 / PHP5 and ADODB(v1.90). PHP/MySQL based phpSkelSite - A simple skinnable site script - circa Christmas 2005 - Details here. Use only on protected localhost - it is not safe on production servers. It is used only for design mockups and / or in fully trusted zones. GNUgk PHPStatus - A nice piece of PHP code listening on the status port of GNUgk (default 7000) and publishing the Endpoints registered as NetMeeting Callto: links - a sort of Web Directory for GNUgk. Shortest Path DIJKSTRA Algorithm Online. Access the BBC - On This Day Page. Learn Korean from Mr.Lee Woon Yong - only 24 Alphabets - smallest number of letters in a language. On 18th January, 2000 I had the pleasure of meeting Mr.Lee, a Diplomat heading the Korean Trade Office at Chennai, India and who is well versed in Hindi and passable Tamil besides being an expert in Indo-Korean studies. For further information, please contact Mr.Lee and visit his site. 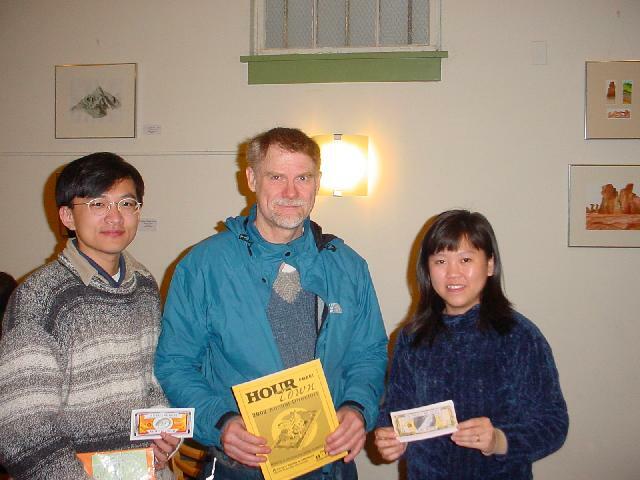 My good friend S K Chua and his wife met Paul Glover of Ithaca, NJ, USA in December 2002. After reading Funny Money by David Boyle (wherein different types of money mostly non-government issued or controlled is discussed) and knowing Paul Glover's pioneering effort at issuing the Ithaca Hour currency note saving rural America from being bulldozed by chain stores and super markets - keeping liquidity where it belongs - I had requested Chua to meet him and the image linked herein is thanks to his effort. Ripple Currency is another nice means of alternate exchange. Visits on this page since 1st July, 2000 are .